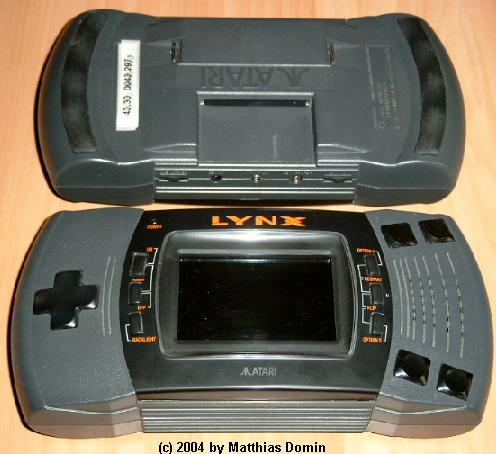 After removing the four screws you can easily remove the rear shell from the rest of the Lynx II. 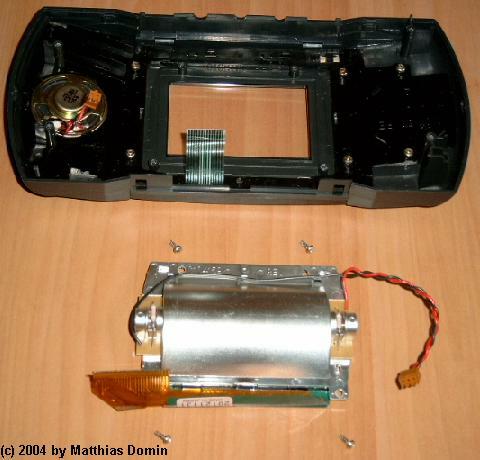 Remove the single screw which fixes the wall of the battery bay to the top shell of the Lynx II. 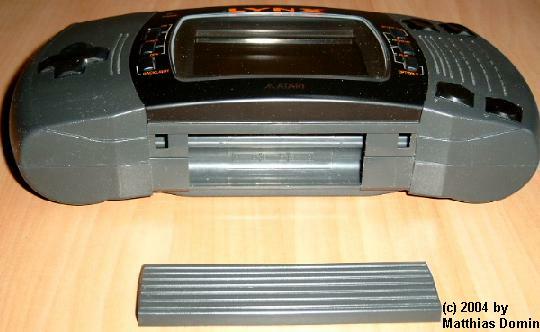 Then remove the batterybay-wall carefully from rest of the Lynx II. 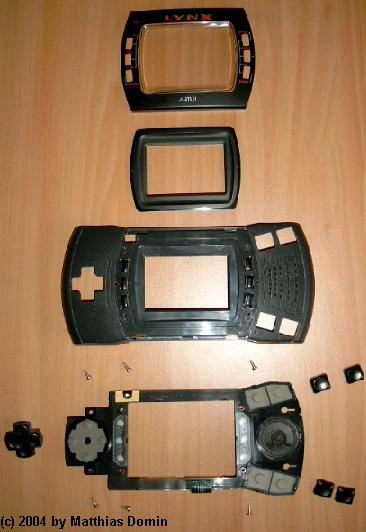 You'll need to lift the PCB slightly to be able to do this. 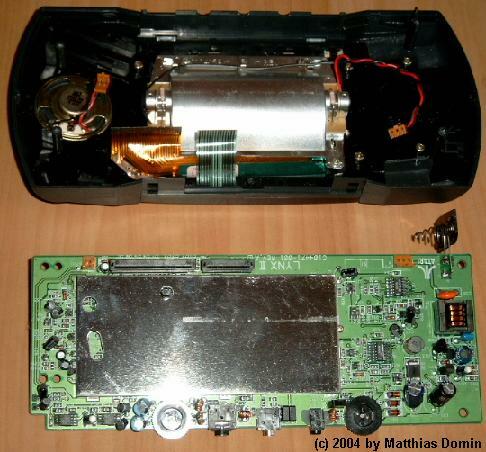 On the left is the loudspeaker cable (orange connector with two wires). and then comes the foil-connector for the buttons. 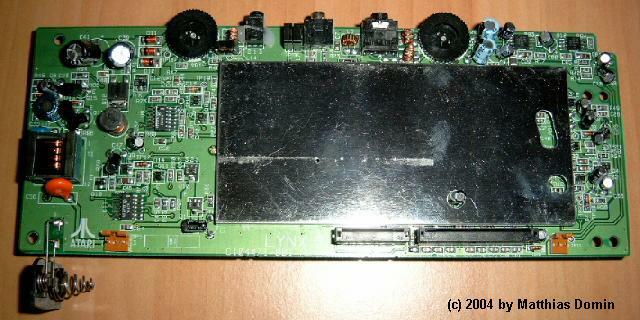 On the right is the power cable for the LCD-screen and the backlight (orange connector with two wires, but 3 connectors). Opening the orange connectors is quite easy, but to be able to remove the two foils from the foil-connectors you need to open the foil-connectors. This is done by pulling on the wings of these foil-connectors. The next picture shows the top of the PCB. 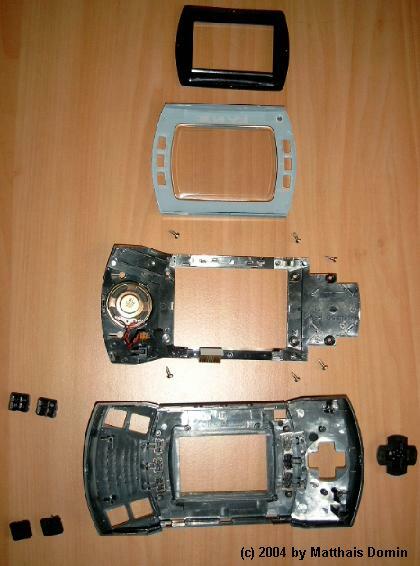 As you can see the chip-area is covered with a metal RF-shielding. 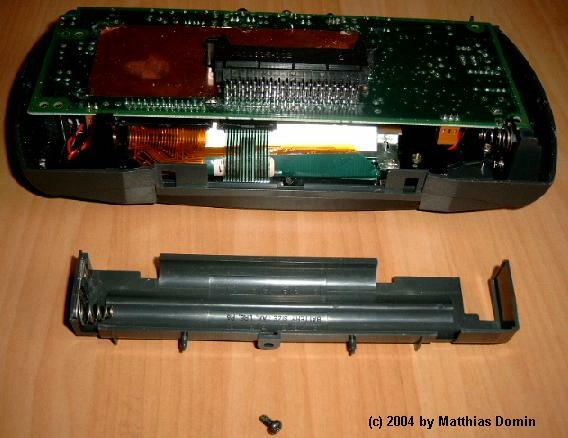 On the left lower corner you can see the battery bay-connector. The next picture shows the bottom of the PCB. 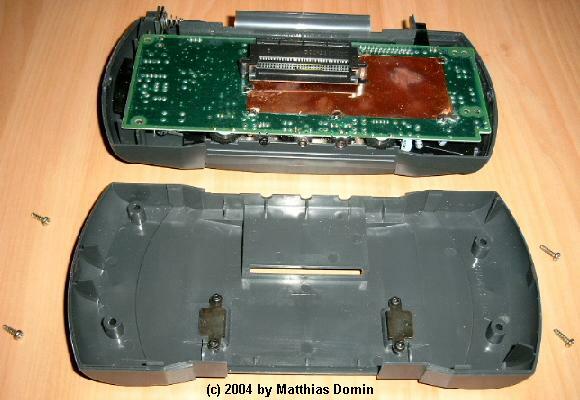 In the middle is the cartridge slot and a metal RF-shielding is also visible. 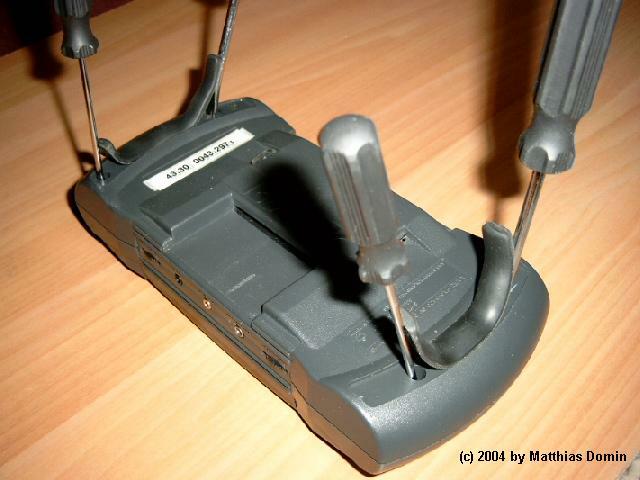 On the left upper corner you can see the battery bay-connector. The two pairs of fire buttons are labelled "A","B","C" and "D" to find their correct position. The flat foil for the LCD has 26 signal lines. The flat foil for the buttons has 14 signal lines. The loudspeaker has 16 Ohm and 0.2 Watt.